Would you like to jump your energy level from good to great? Overworked and tired of being fatigued? Trying to shake a stubborn illness? Then this class is for you. Shengzhen (Unconditional Love) Healing Qigong (Pts 1 & 2) is easy to remember, revitalizing, and beautiful. In each one day workshop this fun-to-learn energy cultivation method introduces one part (consisting of 10 seated movements) to build your health & vitality. All who are interested are welcome to attend. Also heartily recommended for those in the healing arts. 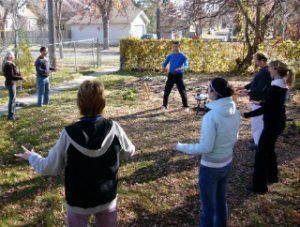 There is no prerequisite for the Shengzhen Healing Qigong Class. Early bird deadline is 28 days before class. No deposits accepted. 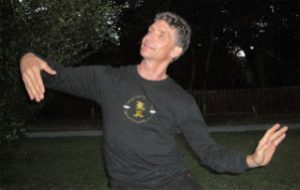 There is no prerequisite for Healing Tao Qigong Basics. All prices subject to change without notice. Early bird deadline is 28 days before class; no deposits accepted. There is no prerequisite for Shengzhen Healing Qigong Pt. 1. To qualify for review prices, you must have taken this class with Peter before. All prices subject to change without notice. Early bird deadline is 29 days before class; no deposits accepted. There is no prerequisite for Shengzhen Healing Qigong Pt. 1. To qualify for review prices, you must have taken this class with Peter before. All prices subject to change without notice.